Carey Baker is a Lake County native having been born in Eustis, Florida. He graduated from Tavares High School and following high school, he attended Lake-Sumter Community College. At the age of 18, Carey joined the family business; The A.W. Peterson Gun Shop. The A.W. Peterson Gun Shop in Mount Dora is the oldest gun shop in the United States having been established in 1886. Carey’s father, Leighton Baker, moved the gun shop from Denver, Colorado to Mount Dora in 1953. Carey joined the Army National Guard while still in high school. He retired from the guard in 2013 having served over 31 years and having attained the rank of First Sergeant. In 2003, while a Member of the Florida House of Representatives, Baker was deployed to combat Infantry missions in Iraq as part of Operation Iraqi Freedom. He was the first state or federal elected official to serve in Operation Iraqi Freedom while holding office. He is a graduate of numerous military courses/schools including the U.S. Army Jungle Operation School and the U.S. Army Pathfinder School. 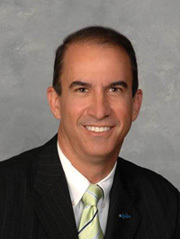 Carey successfully ran for the Florida House of Representatives in 2000 and was reelected to the House in 2002. In 2004, he won a special election for the 20th district seat in the Florida Senate and was subsequently reelected. While serving in the Florida Senate he served as Chairman of both the Senate Transportation Committee and the Senate General Government Appropriation Committee. During his legislative tenure, Carey worked with elected Property Appraiser’s across the state on several property appraiser measures and was instrumental in their passage. In 2012, he was elected to the position of Property Appraiser of Lake County, Florida. He currently resides with his wife Lori and their three children (Leighton, Caroline, and Reagan) in Eustis.